30% of the body’s proteins are comprised of collagen. Collagen is a protein to be found in all the body’s connective tissues. When we are young our bodies have lots of collagen, and our skin is smooth. Collagen and elastin cooperate in keeping the body’s tissues in order; collagen gives it shape, strength and firmness and elastin gives it its elasticity. Collagen makes the skin strong and resilient. As we age, our skin loses a lot of its original collagen and wrinkles are formed. Since up to 30 % of the body’s protein is collagen, it is important to get more collagen if wanting to reduce the visible signs of aging. One thing that makes EQ Anti Age Collagen stand out is the low mollecular weight collagen that makes it so much easier for the body to absorb this special protein. We have chosen to add Matcha green tea and seabuckthorn (Hippophae rhamnoides) as they are both ingredients of high quality, known for their ability to promote healthy skin. EQ Anti Age Collagen contains vitamins and botanical extracts that maintain the normal function of the skin. To ensure enough skinrelated vitamins, we have added vitamins B3, B5 and C, in addition to botanical extracts that also contain vitamins and other nutrients. 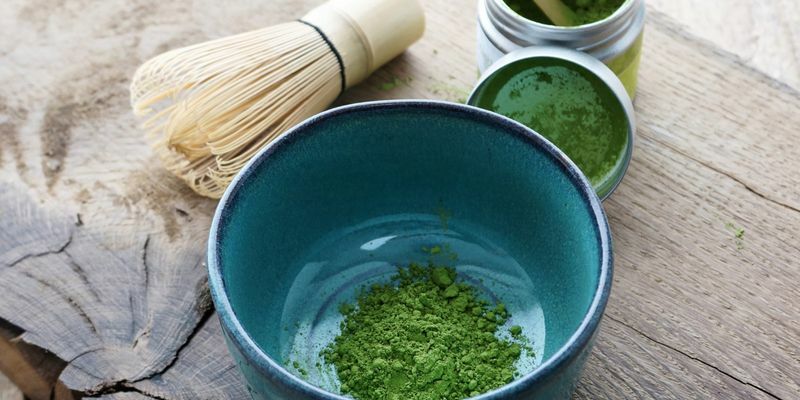 Matcha is a Japanese green tea, which is ground to a powder and thus retains the nutrients from the entire tea leaf instead of just the usual green tea extract. Matcha is prepared from the leaves of the tea bush Camellia sinensis, and what makes this green tea so special is both the origin and method of preparing it. The different ways the green tea leaves are treated are a crucial part of determining the quality of the tea. The tea is bursting with nutrients such as vitamin A, antioxidants, fiber, chlorophyll and the special amino acid L-theanine. Matcha Green tea has abundance of polyphenols (antioxidants), which help to prevent the early aging of the skin through oxidative stress. Sea-buckthorn is an old, widely-spread plant that has lately gotten a lot of attention because of the berries’ special nutritional and medicinal value. The berries contain large amounts of vitamin C; it has been proven that one berry contains more vitamin C than a kiwi or an orange. Sea-buckthorn also contains other important nutrients such as vitamin A, vitamin E, vitamin K, vitamin B1 and vitamin B2 as well as minerals and amino acids. Among the amino acids are eight of the most essential ones that the body is unable to produce on its own.